Event 201 (13th October 2018). The privilege of 2 Run Reporters. 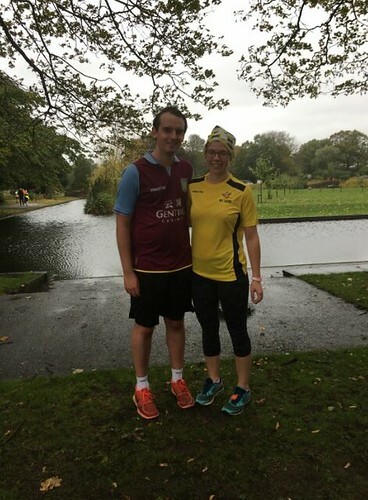 A huge thank you to two tourists who provided their experience of Perry Hall parkrun. Storm Callum didn't stop 120 of us battling through to finish parkrun today - well done everyone. It was my first time at Perry Hall and I'd like to say thank you to the volunteers and to everyone for making me feel so welcome. I always enjoy out and back laps as it's great to see everyone going round the course. The biggest dilemma today though was whether to jump over,go round or go through the puddles - which one did you do? 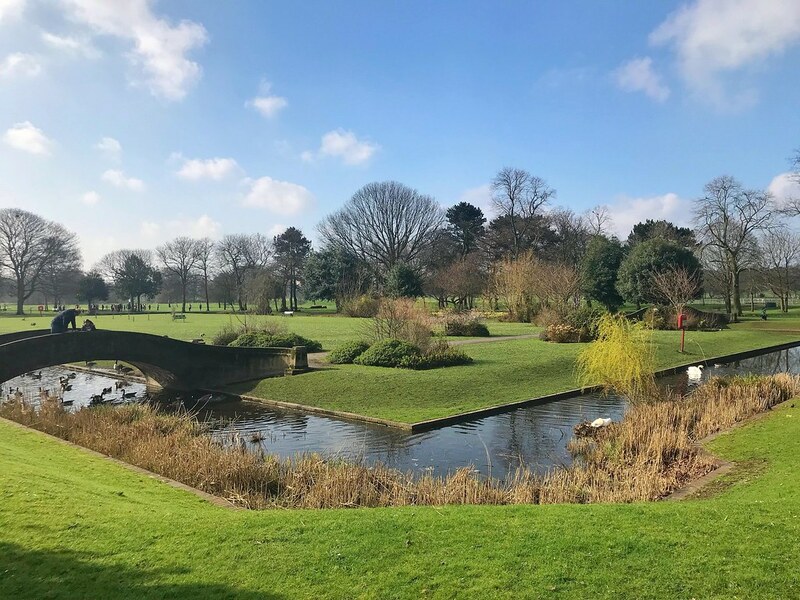 To me Perry Hall is one of those parks I'd never have known unless it was for parkrun so I look forward to coming back soon and hopefully when the weather is warmer. At Perry Hall today we still welcomed 120 participants! Just to say other new runners it isn't like that every week – sometimes the sun shines! One of the new runners An TE was completely new too Perry Hall parkrun and also new to parkrun and he come 4th and had a good time of: 19:51! Today we would like to say a big thank you to all of the volunteer as some weeks we struggle but thank you to the 21 volunteers who helped before, during or after the event and they are- Julie MORRIS, Helen JOHNSON, Neil JOHNSON, Roy GREAVES, Jason HOLT, Roger LEE, Kerry CHALLONER, Ruby CHALLONER, Paul TUITE, Rebecca INCE, David ALLEN, Chris KIRK, Joanne SPENCER, Helen JOHNSON, Rebecca INCE, Julie MORRIS, Sarah GIBSON, Angelina FARRUGGIA, Emma HAWKEY, Victoria MCCRE, Lauren HEVEY. Today, first male was Rich BAYLISS with the time of 16:06. Well done- a PB for you at Perry Hall! First woman today was Victoria MCCREA with the time of 18:07 minutes- Also well done to you as it was your first time at Perry Hall! A big thank you to Spesh Maloney who provided our run report from the perspective of a tourist. 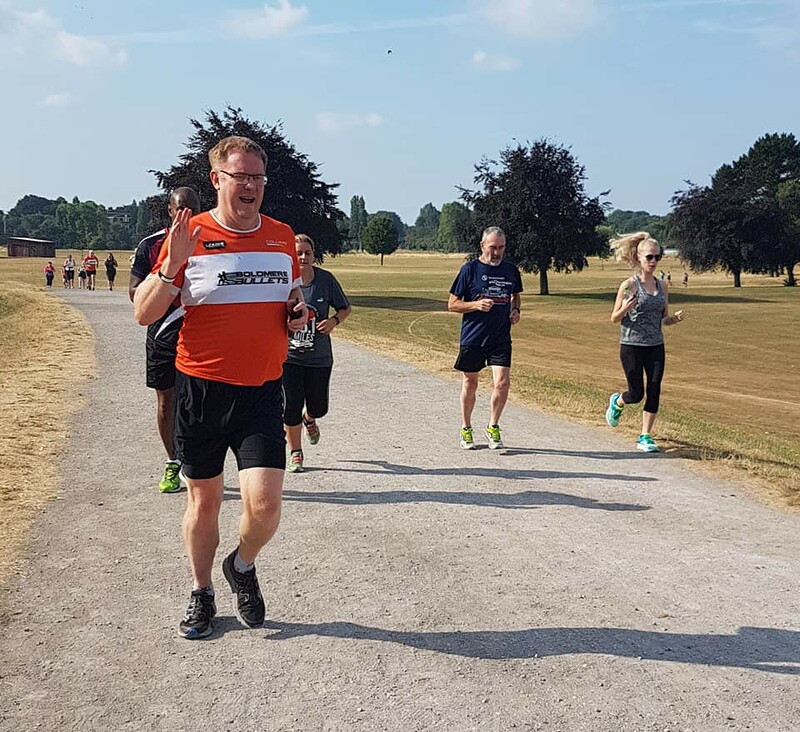 We hope to see you back at Perry Hall parkrun again soon. It's a 45-minute schlep along 3 motorways to get to Perry Hall Park for me - such as I enjoy running new courses. There's definitely an autumn chill in the air, it's a little damp underfoot but the sun is shining brightly in this corner of the second city. 144 participants attended, including several tourists (the furthest travelling from Devon) and a barefoot runner to boot (pun intended). 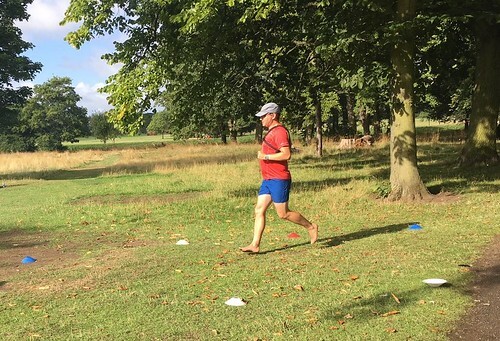 Perry Hall parkrun's regular barefoot runner - whatever the weather. There's also an impressive 'half-cowell' to celebrate - a runner on her 50th different event. 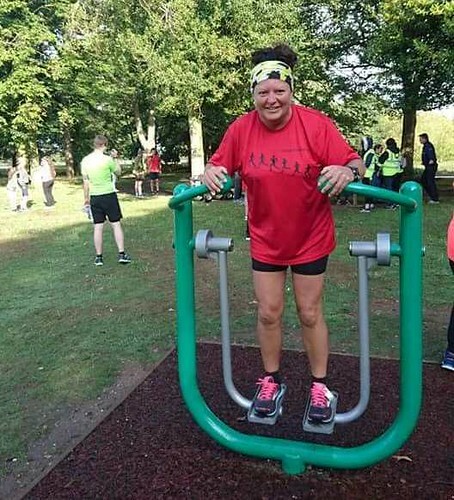 Jo Yarnell celebrated her 50th different parkrun event - starting with a warm up on the exercise equipment, then a big smile whilst Run Director Phil announces to all during the briefing. There's a lot of ducks here too. I was tempted to have a quick preliminary reccy of the course before kick-off this morning, as there looks to be a few nuances to the 3 different laps. But I decided to have faith that they've catered for us First Timers - and they have: it's not as complicated as looks and it makes perfect sense once you're out there. The short section along the river Tame was a highlight for me. I came in as 14th finisher in a respectable 21:26. Even though each parkrun is obviously exactly the same distance, I've never understood why every new course feels about 2k longer (my splits were all over the shop!) There were a few exploring dogs to negotiate past, maybe that was why? The wind picked up a bit around the cricket pitch too. pakrun finishers getting their breath back and supporting fellow finishers. I'm yet to visit a parkrun that wasn't friendly and welcoming but, Perry Hall, I doff my hat. 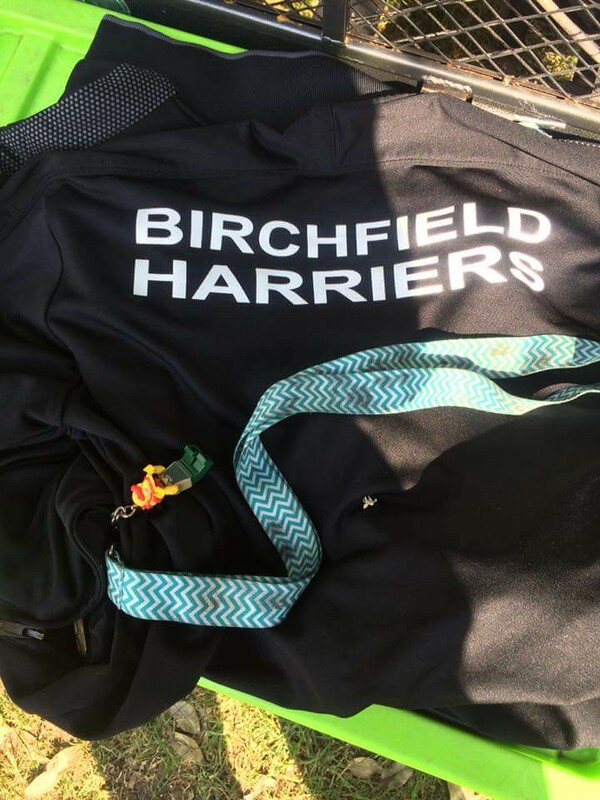 It's not large, as parkruns go, but well-manned with a fab team of volunteers and our Run Director, 'Big Phil', could not have done a better job - including applauding every each and every last finisher across the line. Kudos. A very quick turnaround with the results too. Cheers PHPR! Run Director Phil cheering each and every runner and walker with great applause. This week 144 people ran, jogged and walked the course, of whom 19 were first timers and 16 recorded new Personal Bests. Representatives of 20 different clubs took part. Today's full results and a complete event history can be found on the Perry Hall parkrun Results Page. The female record is held by Hannah OLDROYD who recorded a time of 18:10 on 16th May 2015 (event number 28). The male record is held by Unknown ATHLETE who recorded a time of 16:02 on 6th August 2016 (event number 92). The Age Grade course record is held by Margaret KENCHINGTON who recorded 86.71% (21:27) on 28th May 2016 (event number 82). 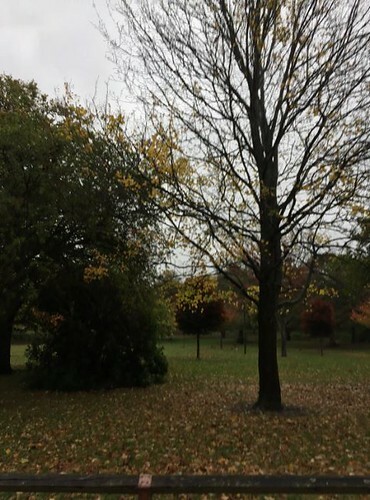 Perry Hall parkrun started on 22nd November 2014. Since then 3,571 participants have completed 19,964 parkruns covering a total distance of 99,820 km, including 3,507 new Personal Bests. I think all of those in attendance on Saturday will agree, it was an extra special morning with the Boldmere Bullets volunteer take-over. Big thank you to Paul Hibbert for providing us with a fabulous run report this week. Paul Hibbert out on the course, and 3 generations of the same family came along to volunteer and run at Perry Hall too. As a scorched earth awoke and lifted its head to see if the promising clouds overhead would deliver rain; a small orange team quietly, almost silently began their task: measuring, planting, checking. They moved here and there, across the dusty paths, heads down in concentration and deliberation. The onlooking birds cocked their heads, hopefully, desperately. Was this what they had waited for, was this an intervention, an incantation to a distant God? Were these markers being laid as an ancient ritual, a prayer for the precipitation so desperately needed in this parched, brown land? No, it was the Boldmere Bullets laying out the parkrun course for their takeover! The Bullets provided all the volunteers this morning, together with a good number of runners. Just some of the army of volunteers the Boldmere Bullets provided us with! As well as being colourful and making some noise, their presence was to promote their third annual 5k and 10k runs on 9th September in beautiful Sutton Park. This event raises money for the Bullets chosen charity, which this year is the amazing Acacia, who work with mothers, fathers and families affected by pre- and post- natal depression. Check them out at www.acacia.org.uk, they really do make an amazing difference to lives throughout Birmingham. 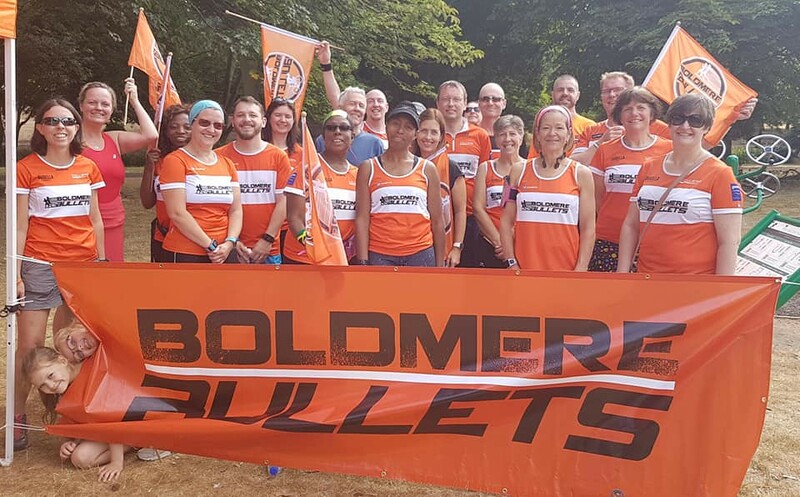 You can enter the Bullets race through this link; https://www.ole-jcracesolutions.co.uk/Boldmere-bullets-10k-5k-race-p/bb2018.htm. There’s a unique and newly designed medal for each finisher. Both the 5k and 10k routes have a mix of tarmac, trail and grass – and the 10k combines two distinct loops rather than being two laps of the same course. It’s a great event and we look forward to seeing lots of you there. First home today was Ben Reeves, in a time of 17:59, a frustrating single second outside his PB. First woman across the line was Lorraine Beesley with 22:27, one of an astonishing 29 PBs set this morning. Dominic Harvey, Hayley Price, Simbai Kafesu, Neha Magar, Annabel Wood, Morgan Price, Robyn Birdsell, Nitika Cole, Ren Magar, Lorraine Beesley, Jennifer Holman, Janelle Daniel, Rahul Mann, Ruth Nott, Paul Honer, Sarah Ashton, Matthew Manning, Marian White, Peter Donnelly, Anil Patel, Donald Nulty, Paul Coughlan, Jenny Drew, Mateen Parkar, Robert Thompson, Adam Benjamin, David Allen, Lisa Stevens, Pascaline Risbourg. We had fifteen people running their very first parkruns today. Denise Taylor had a large amount of new runners to Perry Hall for her First Timers Briefing. Craig Plant, Vickrum Kang, Victoria Wolfindale, Gav Gill, Jude Miller, Lauren Richards, Davinder Pooni, Joel Rose, Johanna Nelson, Lorraine Armstrong, Emma Kallay, Sunny Kallay, Denise Greenaway, Aneeta Lal, Laura Wilkes. In addition to the above, we had 22 first time tourists; among them was Simon Harrop, who travelled furthest to Perry Hall today. 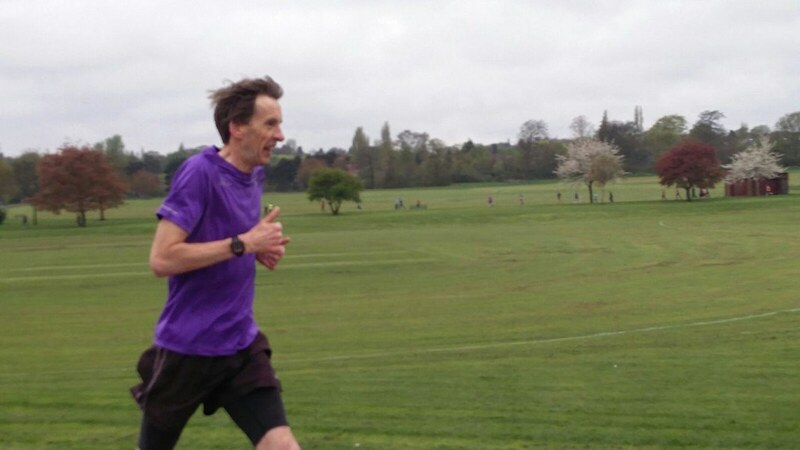 Simon has run at an amazing 148 different parkruns (assuming I counted correctly), running a total of over 300 times – was lovely to have you with us today. Simon’s home run is Woodbank Park in Stockport, which itself is a lovely venue, starting and finishing on an athletics track, and taking in Woodbank and Vernon parks (you can’t see the join!). Just don’t think about the murderously steep hill they make you climb there. Twice! 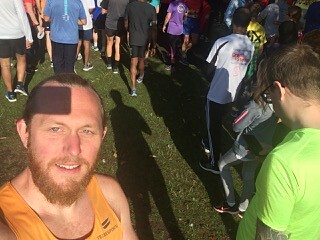 As well as all the PBs and newcomers, we also had a milestone runner today, huge congratulations to Matthew Stephens on your 50th parkrun, 32 at Kingsbury, 18 at Perry Hall. 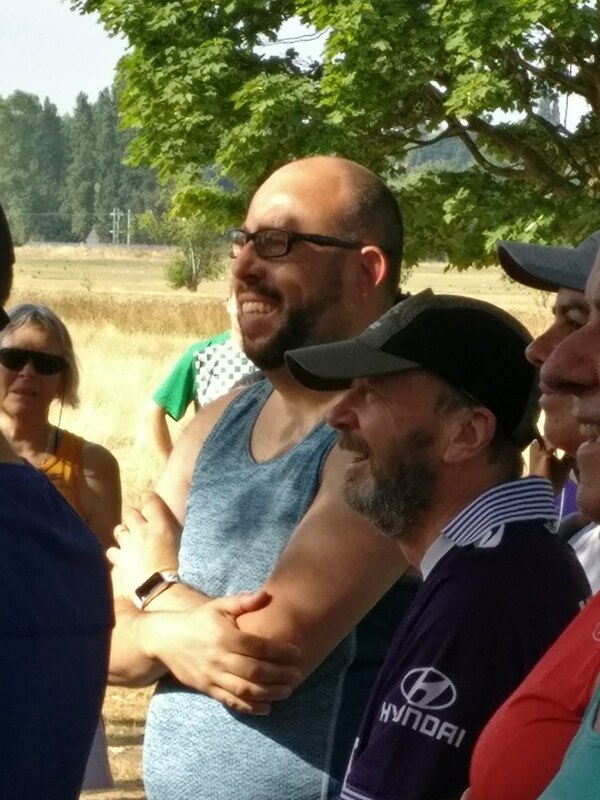 Matthew looking rather happy with his mention in the briefing, and out on the course enjoying his 50th parkrun. 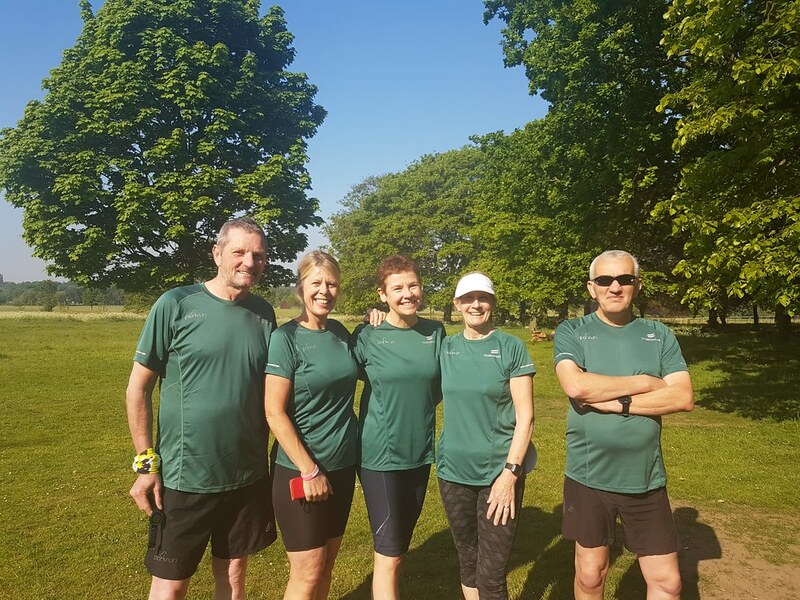 Event 180 (19th May 2018) Seasoned parkrunners were a plenty! A big thank you to one of our tourists today Karen Cole of Havant (Portsmouth) parkrun for providing the run report. I took a look at the stats from Karen, its always nice to hear what someone from far afield thinks when they tour at Perry Hall. Karen is certainly someone who has lots of parkruns to compare us against, she has completed 109 DIFFERENT parkruns!! - Wow, that is incredible, and run a total of 243 parkruns. 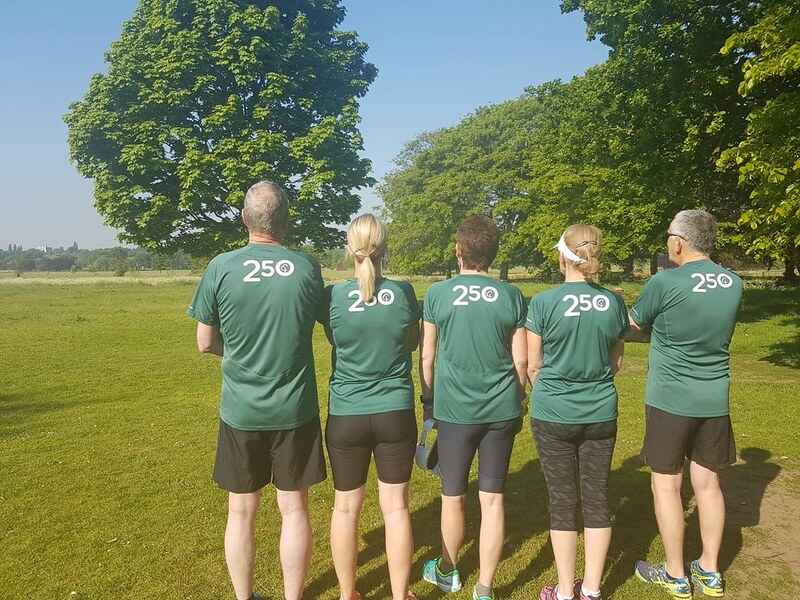 Not long until you achieve the much loved green milestone tee for 250 parkruns - Well done, we hope to see you again soon. 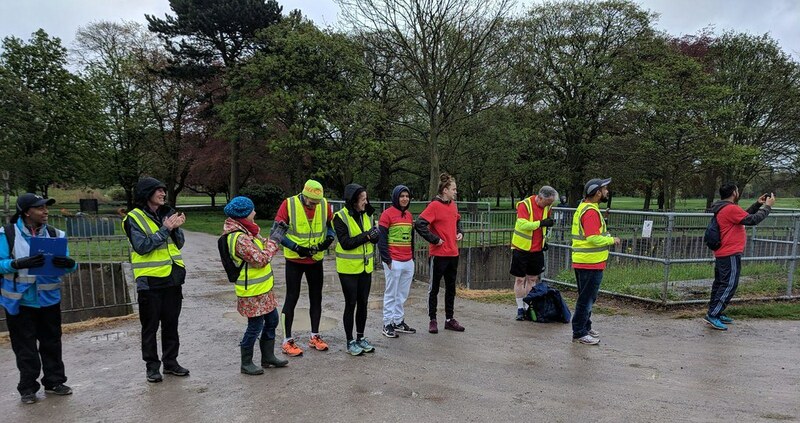 On turning up at the start line, we found a cheery band of volunteers, who were massing and being briefed as to their duties which lifted our spirits as they do each parkrun morning. The parkrun fairies were working hard today and bathed the park in glorious blue skies and sunshine, so provided perfect opportunity to talk to others before we started. 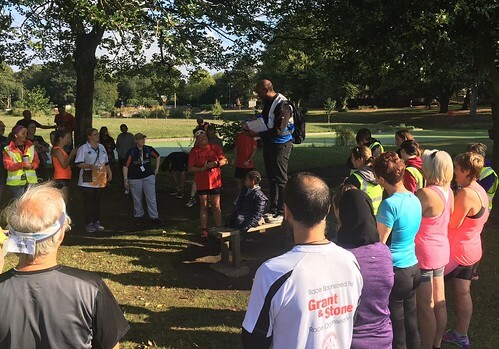 Thank you to Helen Johnson for the runner's briefing where new runners were warmly welcomed and introduced to the course layout. What a beautiful course you have too, with 3 slightly different looping laps in stunning parkland. Locals were telling me that it used to be a mining area, not that you can see any evidence of that now, where trees and rivers run alongside well maintained paths. Today, tourists from Telford, Coventry, Riddlesdown, Havant, Bolton, Melton Mowbray and as far away as Spain were using Perry Hall as their tourist venue. 5 of these were sporting the much coveted green 250 shirt. A big thank you as always to the volunteers who gave up their time to ensure that we were able to run this morning. There were certainly a cheery band of marshals out on the course, all supporting by giving encouragement and clapping, certainly the change round of the lap number boards were a welcome sight as we went round. 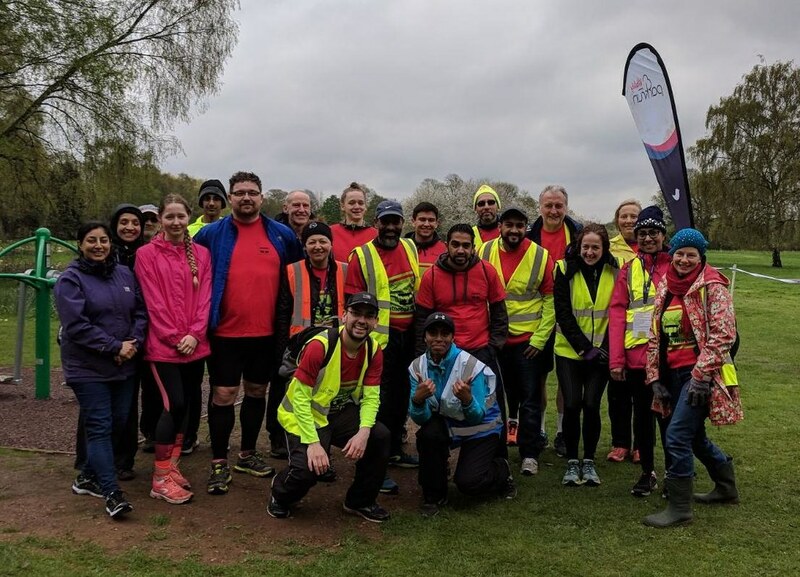 Don't forget if you are unable to run, have a race coming up or are just generally a good egg, then volunteering is a great way to give back to the parkrun community. 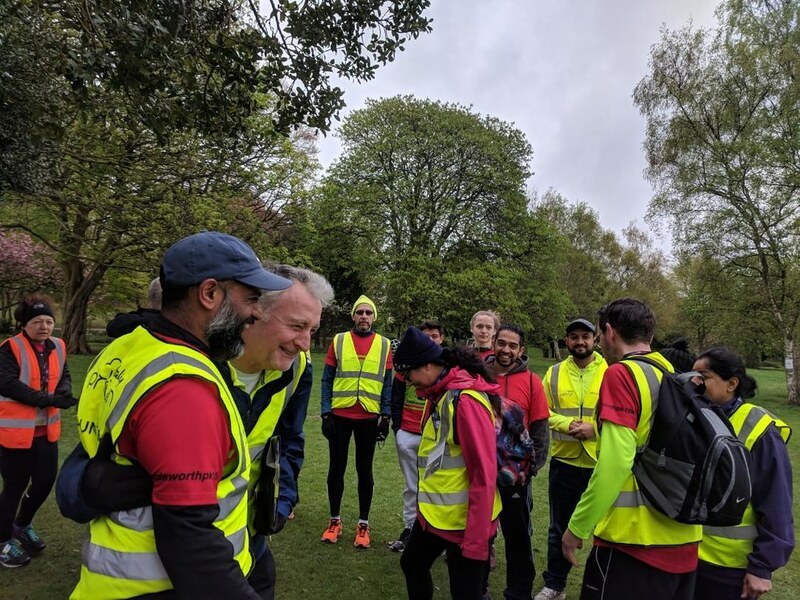 Head over to the Perry Hall parkrun webpage for details of the next few weeks roster and sign up for a position that suits you- you get to wear a hi-viz jacket! -what more incentive do you want? We were also reminded that the lost property tree was starting to fill up nicely. Don't forget to have a look if you have recently mislaid an item. 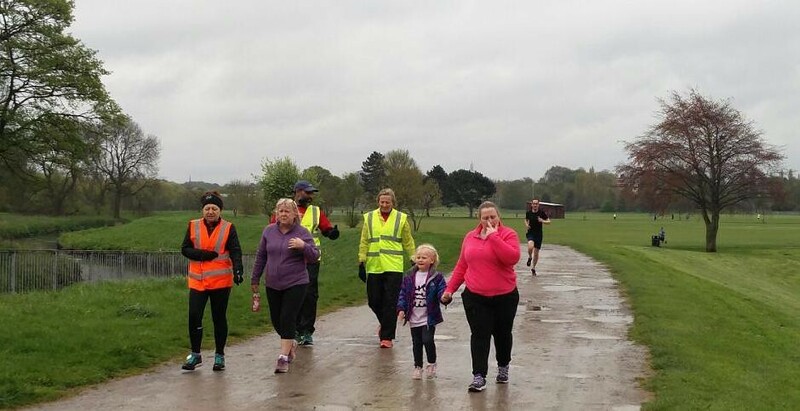 First timers, as mentioned above, are always warmly welcomed and are on the start of their parkrun journey and working towards their first milestones. The trick is when working towards your milestones is #DFYB- Don't Forget Your Barcode! 13 of you were listed as unknown runners this morning. That's one run less to count towards those milestone tees. 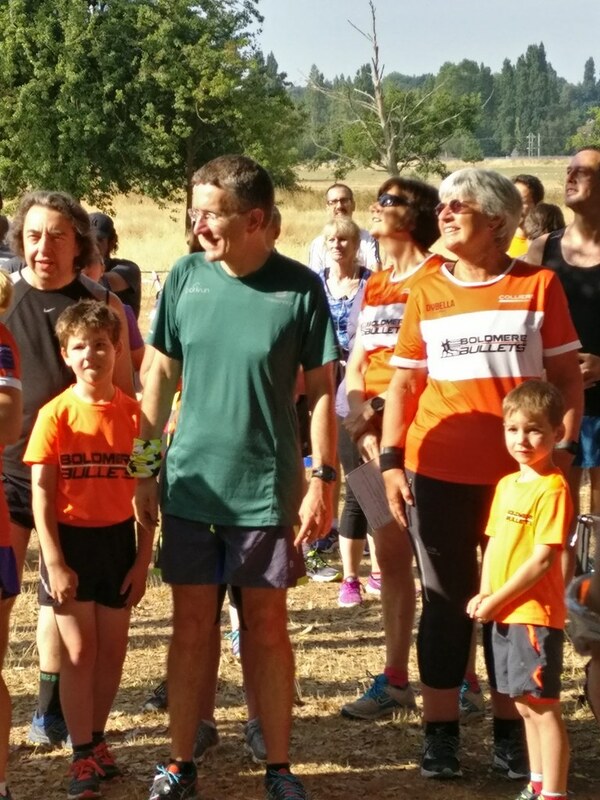 Milestones this morning announced were Stephen MCCann who was running his 250th parkrun. That's the great thing about parkrun isn't it, that each person has their own individual journey to talk and share about. Especially pertinent though to also remember to hand in your finish token, parkrun needs them for next week as they unfortunately are not a souvenir, medal or indeed your own version of Bingo! 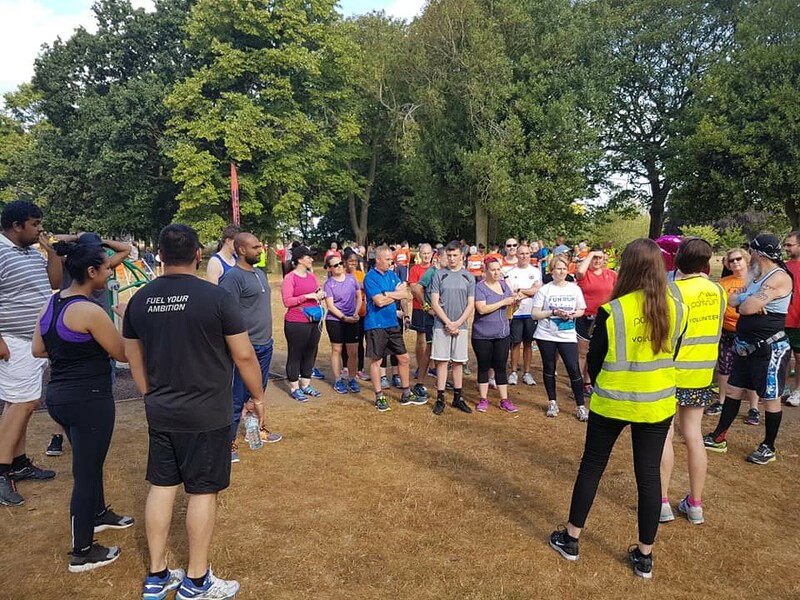 Thank you again Perry Hall parkrun for starting our weekend off on a positive note. Look forward to seeing you all soon. This week 170 people ran, jogged and walked the course, of whom 21 were first timers and 19 recorded new Personal Bests. Representatives of 30 different clubs took part. Event 177 (28th April 2018) Boathouse Runners Volunteer take-over. We were delighted when Boathouse Runners of Handsworth asked to do a volunteer take over. They are a running group, based from Handsworth Park on a Sunday morning at 8:30 or 10am - suitable for all ages. It is free to run with them. 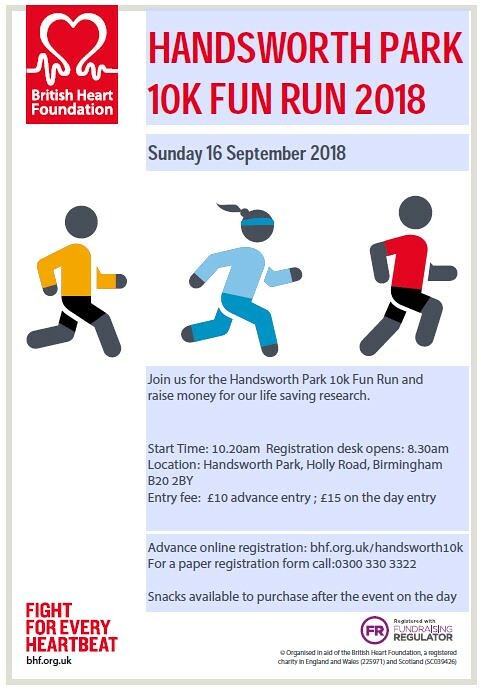 They were also promoting their 10km Fun Run which takes place on Sunday 16th September, again this will be in Handsworth Park - see below for further details. It was such a miserable morning, as I met Lorna at the start area and started to set up the course with Chan ( who had just realised that he would be doing his 50th parkrun today as he had volunteered to tail walk as well, well done Chan), I thought we might not see many runners today. Who would want to run on a morning like this? Well I should never have doubted the spirit of parkrunners. On our return we were met by a crowd that already looked well over a hundred before the first timers had been briefed by Roy. It was great to see all of our Boathouse Runners and Clem Dench Crew assembled to be ready for their volunteering jobs, so it was perfect time for a photo. Already the cold hands felt warmer with greetings and handshakes, watching everyone else doing the same, many saying hello again after the run last week, and getting ready to run again today. 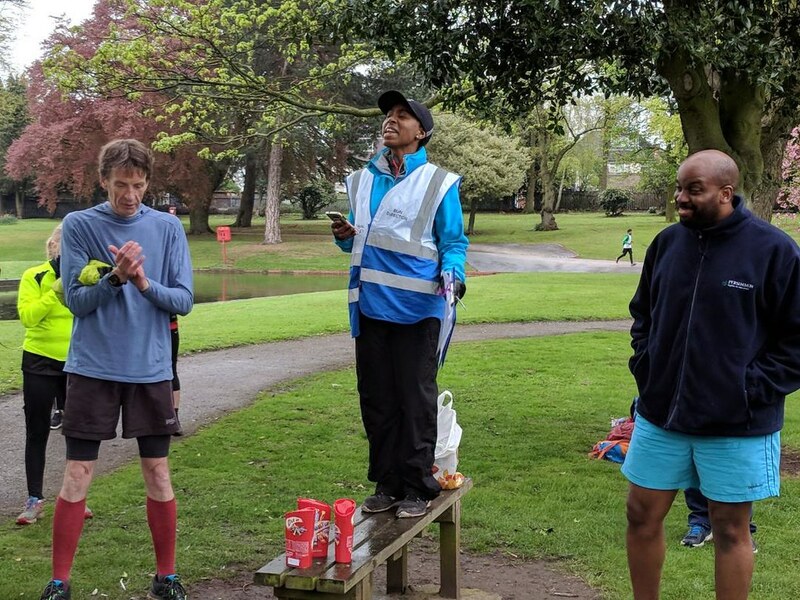 Lorna started us off with a lovely thank you for our efforts, with a great response from the crowd, before letting us know about some important milestones for a pair of the core team of Perry Hall parkrun volunteers. Today marked the 50th parkrun for Phil Thompson, who was rightly acknowledged as the loudest supporting volunteer, as I have to vouch that his cheers at the bridge on the first lap often spur me on to performances that I didn't think I could achieve. 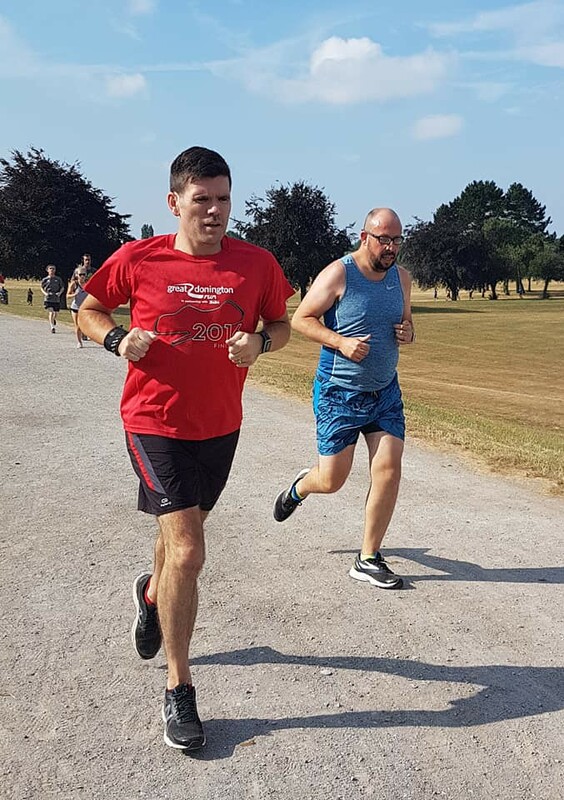 It was also an amazing 250th parkrun for Andy Wadsworth, who was set the challenge of impressing us again with another fast PB. No pressure then! Andy running strong and on his way to yet another great time. Both are incredible achievements, especially when you consider that they have each earned their t-shirts for 25+ volunteering weeks as part of the core team and beyond. Lorna called them the Twin Towers, and they did indeed resemble the old Wembley monuments as they nearly reached her height on either side of her as she stood on the bench! Lorna gives her congratulations to Andy (left) for his 250th parkrun and Phil for his 50th. Then we were off, after Tony and Kerry on timing duties had established exactly what time to start the stopwatches ("is it on 3 2 1 or go? "), I got into place for a few photographs and cheered everyone away. It was great to be at the bridge cheering on the full range of runners which parkrun attracts. From the front to the back of the field, smiles and grimaces were on show, sometimes at the same time. It was great to capture some moments of pride and determination as I dodged the raindrops with my camera. John looking rather happy to be taking photos from the bridge. The atmosphere with the volunteers was lively, energetic and funny. What really came across here was that we had volunteered en masse to raise awareness of our running groups and 10k run, yet we were also showing our runners the greatness of Perry Hall parkrun, which we value so much, and the joy that can be gained from volunteering at parkrun in general. Hopefully it will spark a whole new set of Saturday runners and volunteers. Then it was off to the finish line as we saw our parkrun tourist from Wrexham coming back round at speed. I later found out that he was here for the weekend for an athletics conference at Alexander Stadium, though his time was impressive he wasn't too happy with it, though I very much agreed with his sentiment that it "wasn't bad for a 59 year old". Now was the time to get the nervous parts of the timing and scanning jobs done for the first time in all cases today. All of the duties seemed scary at first but worked like clockwork for our volunteers as they got going through the field. 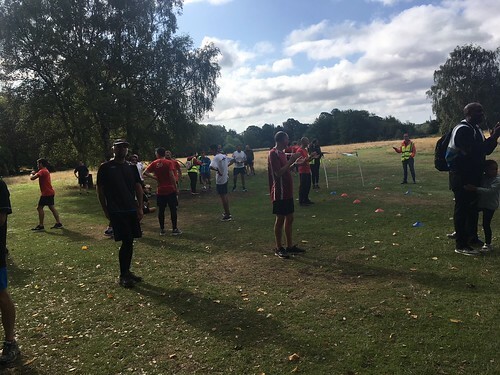 Time seemed to speed up with the pace of the runners as a great field of over 160 runners flowed through the line, with some impressive sprints being put on by many including the usual greatness from Sukhbir, a familiar face at Perry Hall parkrun. Details of the Handsworth 10km Fun Run. Finally, the tail walkers came in behind a spirited group of young achievers, and we got together for one last group shot with some more of our group who had joined us. Then a few of us got to sample the post parkrun session at Goodfilla's café across the road from the park. Four of us sorted the tokens and chatted while Lorna nervously inputted all of the data into the laptop and cross referenced all of the extra information that was gathered by John with the clipboard today. Chan (with baseball cap) making his way to his 50th parkrun by tail walking. Thank you Chan and congratulations. Once she did her victory dance to signal that everything had gone in correctly, it was time to settle in for one of Roy's washing line tales, which today took us all the way to Bumble Hole ("I beg your pardon!") after I had asked whether the Birmingham and Black Country Half Marathon went through the long canal tunnel or not. Today I must say was special for two reasons. Firstly, it was great to get our groups together in a different context. The team spirit between us was wonderful to witness and the response from the parkrunners today was very valuable. 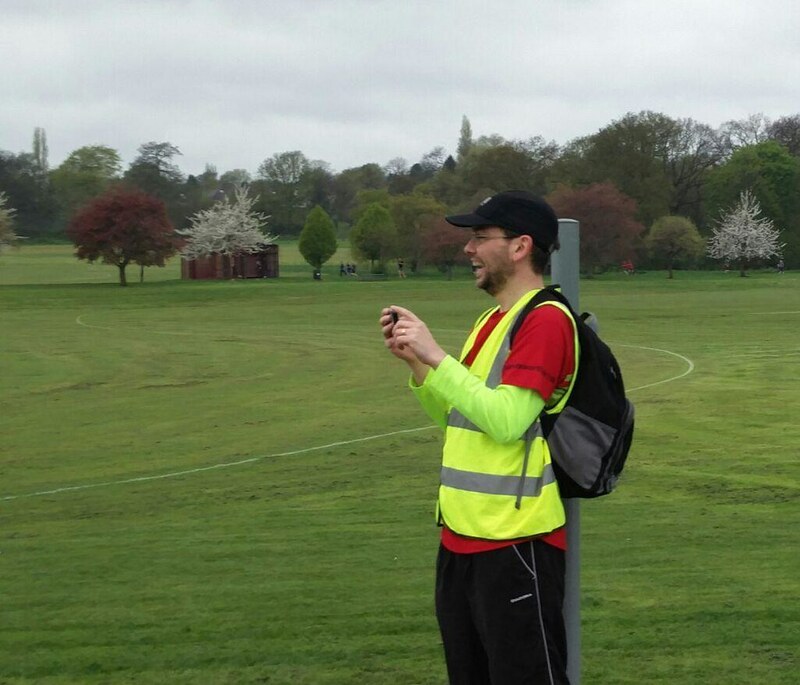 Secondly, it exemplified how rewarding it can be to volunteer at parkrun. It means so much to have the run happen every week and it couldn't happen without volunteers. So, book yourself in, you won't regret it. You may get to feel how well received you are for making it happen for others and you might even get to see what the different Run Directors' victory dances look like if you stay all the way to the café. Most of all, you get a whole different perspective on the whole experience as you cheer and watch a wonderful group of people doing a great thing. Volunteers on the bridge cheering through the runners on their first lap. This week 160 people ran, jogged and walked the course, of whom 6 were first timers and 31 recorded new Personal Bests. Representatives of 21 different clubs took part. The male record is held by Ben GRIFFITHS who recorded a time of 15:47 on 29th October 2016 (event number 104). 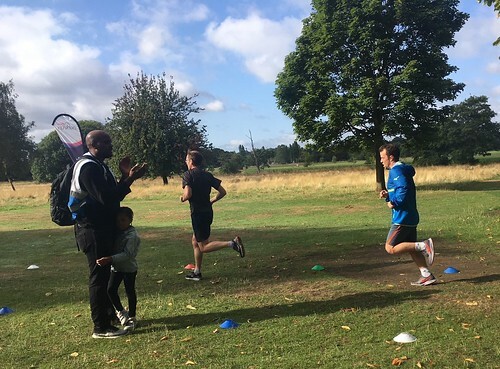 Perry Hall parkrun started on 22nd November 2014. Since then 3,181 participants have completed 17,214 parkruns covering a total distance of 86,070 km, including 3,062 new Personal Bests.